Standard fare for Thanksgiving: the stress of getting wherever it is you’re supposed to be; the face-melting rage that comes with awkward, abrasive conversation around the dinner table; the hushed silence that falls as everyone goes to their corners to cool off; reconvening in good spirits to crush six pounds of turkey, mashed potatoes, stuffing and cranberry sauce each; the hushed silence, save for the gurgling sounds of heavy mouth-breathing, that follows as everyone realizes that they’ve made a terrible mistake; and also parades. Ford doesn’t have a whole lot to do with those other things, but with respect to the 91st edition of America’s Thanksgiving Parade, the Blue Oval will have a significant role. 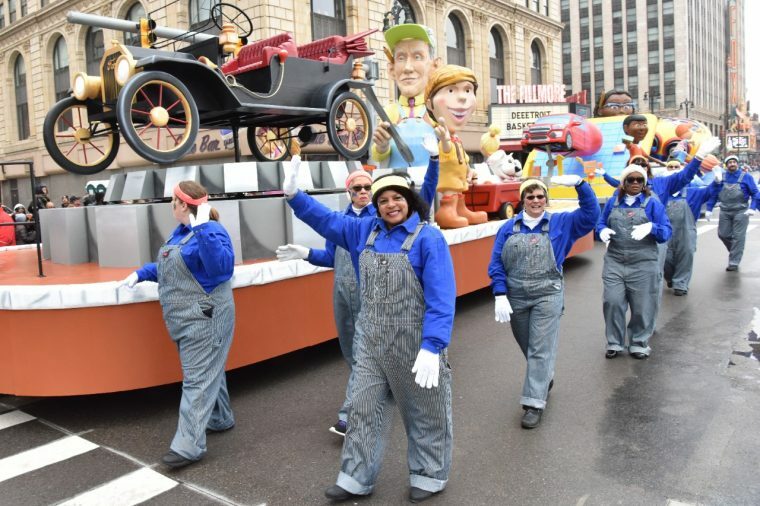 Ford announced on Friday, that some 45 of its cars, trucks, and SUVs will handle the duties of hauling celebrities and toting floats all around Woodward Avenue on Thanksgiving morning. The parade, which this year follows a theme of “Woodward!! Avenue of Dreams!”, will be led by a trio of Ford’s hottest SUVs—the all-new Ford Expedition, all-new EcoSport, and revamped Explorer. At the helm of the parade will be grand marshal Big Sean, who has teamed with Ford in the past as part of Ford Fund’s Men of Courage project. This year’s parade kicks off at 8:50 am at Woodward Avenue and Kirby Street. If you’d prefer to watch it from the warmth of a domicile—and if you need an excuse to get away from Aunt Karen’s rant about millennials—it will air on WDIV-TV from 10 am to noon.